– Presenting work/achievements to a broader audience year-round through the Alumni Speaker’s Bureau. 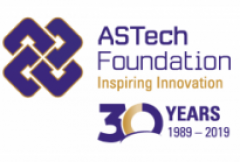 Listen to Dr. Mohamed Elhabiby discuss the value of winning an ASTech Award. His company Micro Engineering Tech Inc. received the 2015 Outstanding Achievement in Applied Technology award, sponsored by SAIT. GrowSafe Systems won a sponsored award in 2012 that came with a $10,000 cash prize. Co-Founder Camiel Huisma describes how the money — and the credibility and contacts — helped build their business at a crucial time. GrowSafe was awarded the 2012 Outstanding Achievement in Agricultural Innovation award sponsored by Dow AgroSciences Canada.